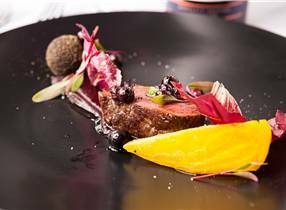 brine the venison to impart flavour and a firm texture, then sear and serve with a salad of crunchy nuts and fresh berries. 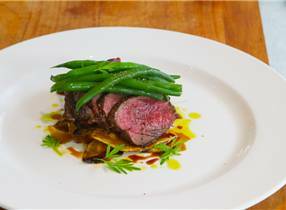 Warm salad of venison with mushrooms, green beans and slow roasted tomato. 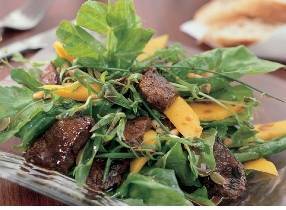 A fresh and light summer salad using venison stirfry. 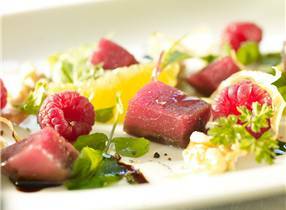 This is sure to impress guests; a great fresh summer meal with an array of flavours.